Frederick High School No. 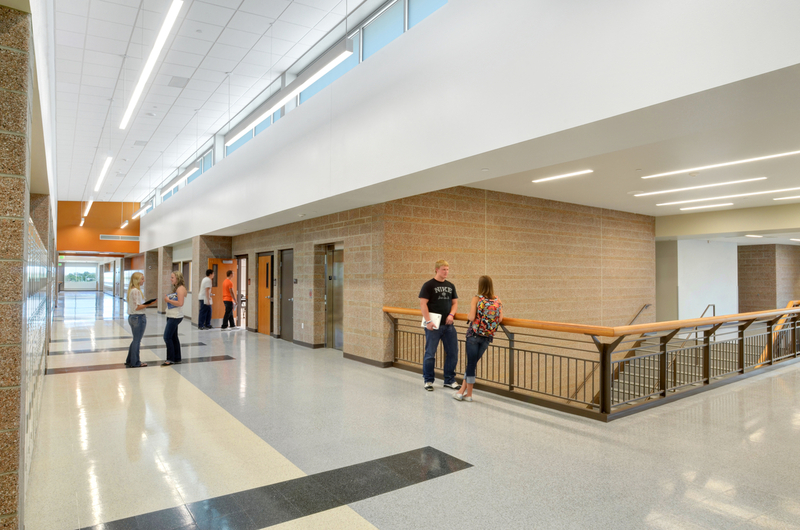 8 is a building purposely organized and designed to encourage new levels of student engagement. 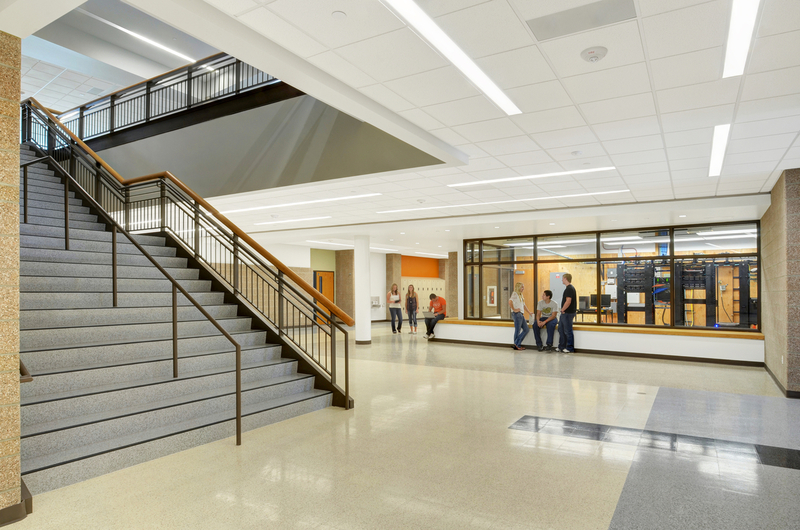 Surrounding and throughout the school’s north building, dedicated to academic functions and the south building offering fitness, music, art and drama, are extensive group spaces, classroom clusters and outdoor courtyards to spur interaction, engagement and learning. 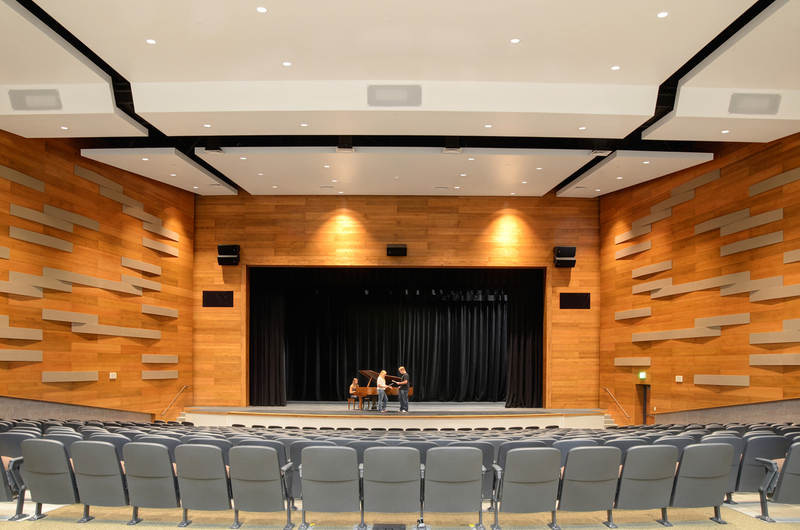 The building also contains exciting features including a dynamic library/media center, a Freshman Center, and 750-seat auditorium. 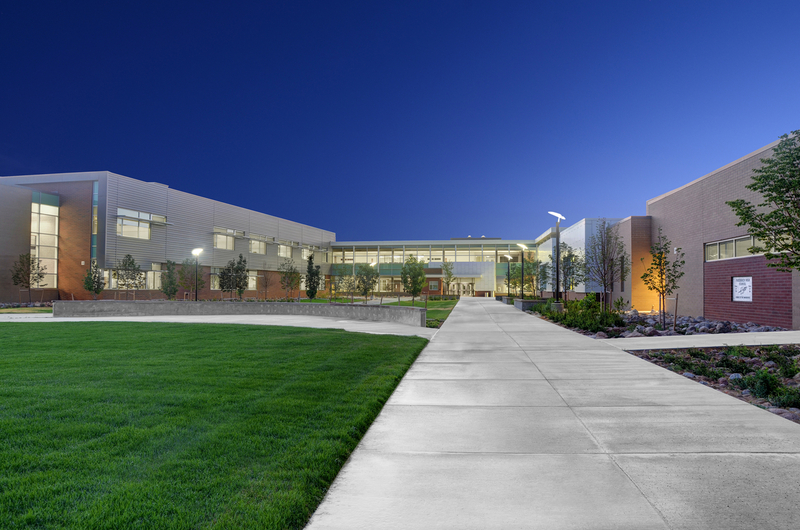 The LEED Silver school also advances sustainability through innovative building orientation, daylight harvesting, envelope design, glazing, efficient HVAC, water conservation strategies and strategy energy controls. These features empowered the school to operate well below previous energy and water consumption levels and serve as a sustainability leader in the region.